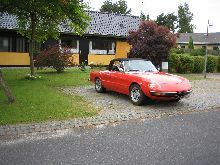 Alfa Romeo replaced its 1600cc Duetto with a new convertible model, the 1750 Spider Veloce. 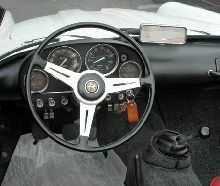 The new Spider used the latest four cylinder engine that Alfa was using in its saloon and coupe models measuring 1779cc. 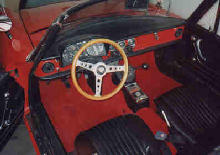 The 1750 Spider Veloce also came with the latest five speed gearbox which made it even better for long distance touring. 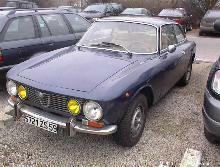 The Spider bodystyle looked very similar to previous models, the heart shape Alfa grille was now set within the front bumper and from 1970 the tail featured the trendy cut-away style that was becoming popular. 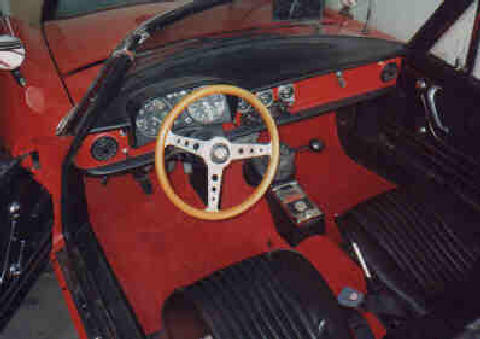 Production of the 1750 Spider Veloce ended in 1971 to make way for the larger engined 2000 Spider. 7' 4" 13' 11" 0' 0" 0' 0" 0' 0" 0 (0) 0' 0"